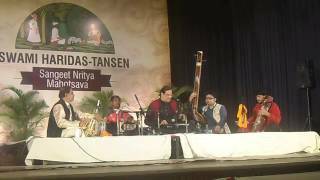 Raag Abhogi by Pandit Ajoy Chakraborty at Swamy Haridas-Tansen Sangeet Nritya Mohotsav. 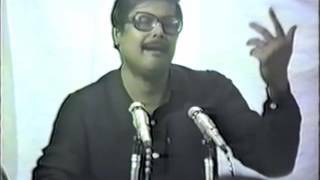 Raga Shudha Kalyan and Raga Kedar by Pandit Ajoy Chakraborty at a private gathering in Fremont California on 5- 11- 1987. 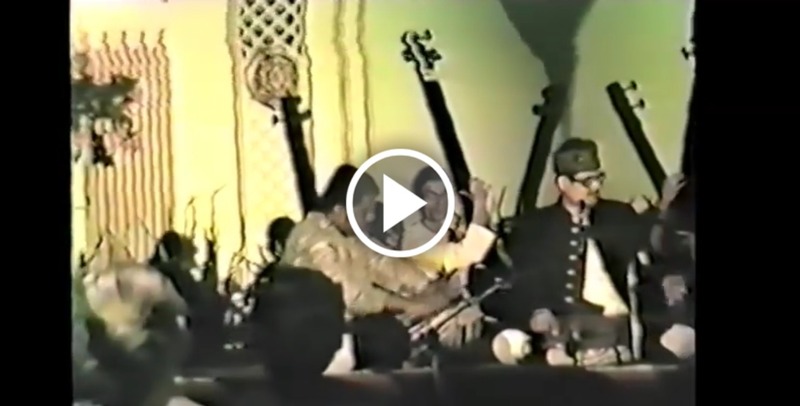 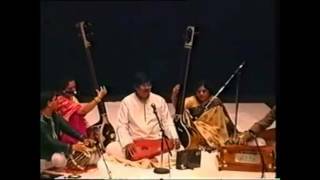 Drut bandish and tarana in Raag Bhoopali by Pandit Chakraborty. 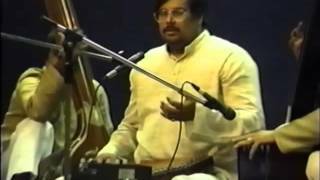 PANDIT AJOY CHAKRABARTY @ QUEEN ELIZABETH HALL, LONDON An excerpt of his rendering of Raga Bhoopali at the All-Night Concert presented by Sama Arts Network and Navras Records in June 1993. 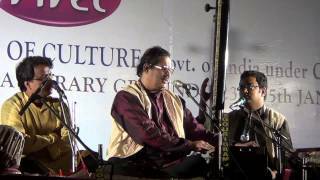 This performance is available on Navras CD release (NRCD 0030) comprising of Ragas Bhoopali and Megh. 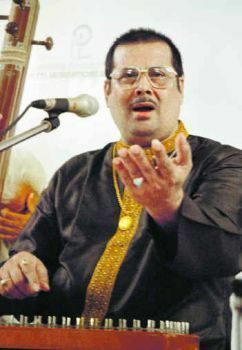 Ajoy Chakraborty is accompanied on Tabla by Saumik Bhadhuri and on Harmonium by his younger brother Sanjay Chakrabarty.